Sorry, you’re right. I just saw a mistake creeping in. Please give me some time to correct that. I am very interested in GrblGru becoming practical. Therefore your questions and suggestions are very helpful and most welcome. So far, very few people have been interested in engraving on uneven surfaces. In this respect, your feedback is particularly important to me. Please let me know if something doesn’t work the way you want it to. Here are 2 older videos on this topic. However, they are only commented in German. I don’t have my own homepage yet. A beta version I’m currently working on is available at bit.ly/2xCD7Nd_GrblGru_Beta. I’ll get back to you as soon as I’ve fixed the problem. Thank you once again for everything and take your time! Hey, that looks pretty cool !!! One more reason for me, to work harder. I uploaded a new version V3.31.9 to bit.ly/2xCD7Nd_GrblGru_Beta. 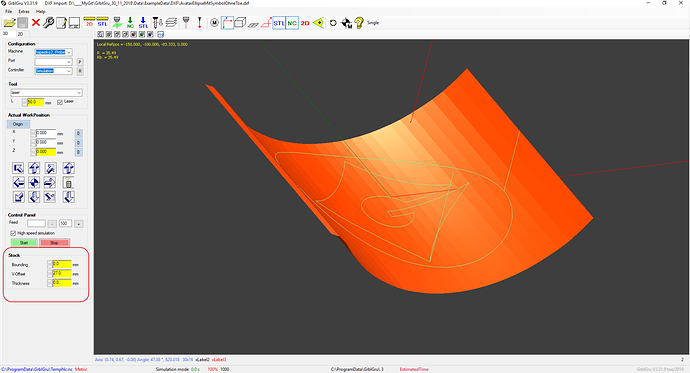 So the interpolation of the measured values and the creation of the STL should work again. In the attachment you will find some pics of the individual operations. I recommend to save the STL object after the measurement. It’s certainly not all super good yet. But I am sure that we will find a good solution together. Unfortunately I haven’t been able to document the improvements and innovations made to the GrblGru program lately. In order to reduce this backlog a little, I would like to introduce the new functions chamfering and thread whirling to you today. While thread whirling of internal threads is well known, the possibility of producing external threads is rather unknown. In this little video I would like to show you how to make a screw (made of styrofoam) and a nut. Up to now I have always been of the opinion that thread whirling could only be used for special cases due to the relatively high costs of the tool. But after I made good experiences with the production of thread whirlers from old taps from the scrap crate, I will be considering this procedure more frequently in the future. I have installed GRBLGru version 3.31 and i am impressed about the possibilities. I have converted my EMCO Compact 5 (the bigger brother of the Unimat) to CNC with Arduino and GRBL version 1.1f . I want to test a simulation f.i a chess rook. 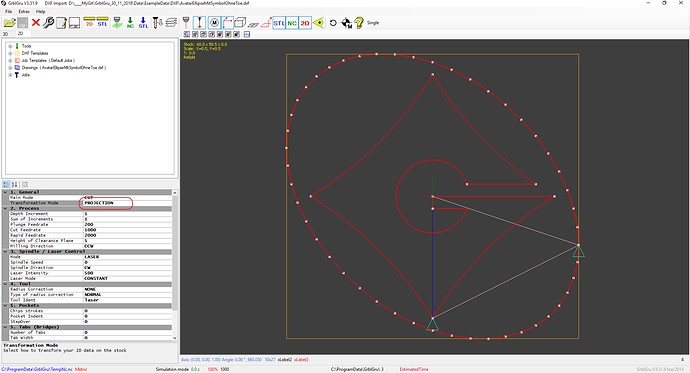 So i loaded the DXF file in your examples, I see the figure of the rook. I started the conversation with the Arduino, the board answered properly and then i pushed the button START simulation with the unimat lathe. but nothing happened. My guess is that I am missing something. PLease give me a hint. I have read some stuff where someone is wrting about a ID->NC button to create a NC-file, but on my screen there is no such button. Still it is a great program, congratulations with it. 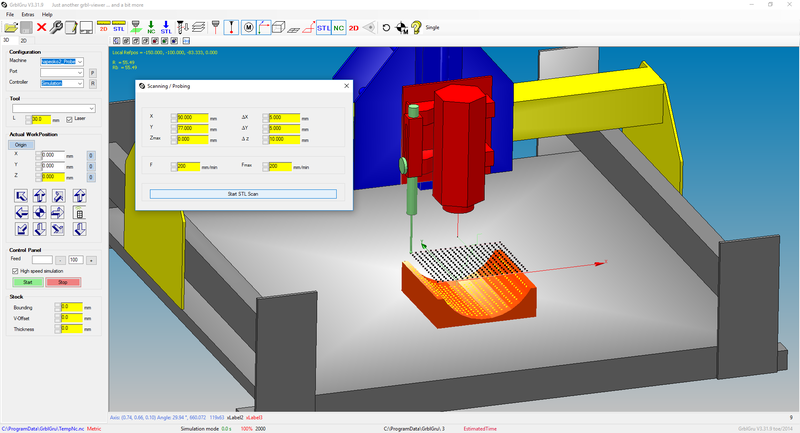 More information about me: I am a nobody in CNC stuff, but I can read GRBL G-code very well. I am using GRBL on a build-by-myself milling machine. Thanks for giving GrblGru a try. The problem is that you have to create a job after loading the file first. The job describes e.g. how much is your infeed, which feeds you need, etc. I made a little video for you that shows how it should works. Thank you very much , with your answer a lot of questions like infeed, tools and so on seems to be solved. I give a try and let you know my results. The explanation of your video was suffcient to get the stuff running. Tomorrow I will try to make really chips on my lathe. The generated G-code seems to be without errors, but I have to change some parameters in configuring my GRBL-settings. Again thank you very much and later in the year I will send you a video of my CNC-EMCO-COMPACT-5 producing some stuff. I’m looking forward to your video. “Between the years” is known to be the time when you always want to do all the things you don’t get to do in the rest of the year. For me, documentation is at the top of the list. 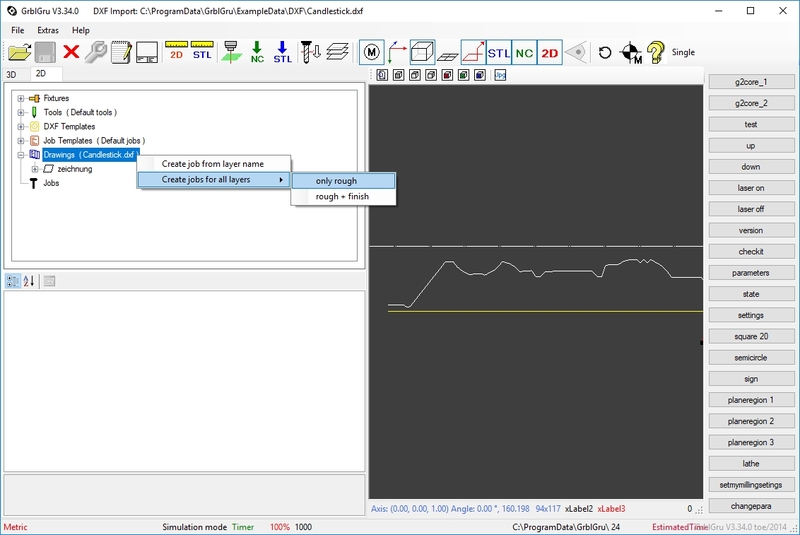 Therefore I would like to present you today the new tool management in my program GrblGru. 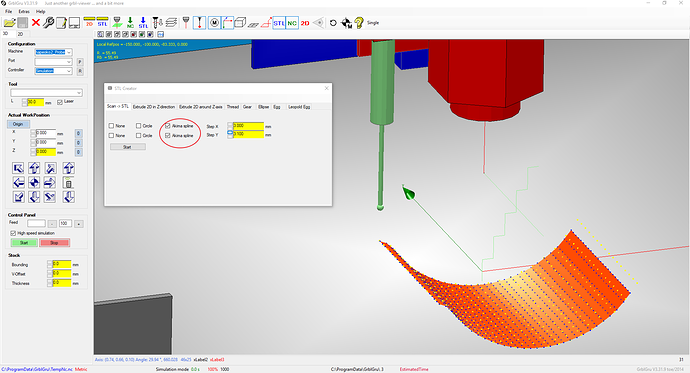 In the focus is the possibility to integrate pictures of your milling cutters into the program. Unfortunately, I always very quickly forget which cutter is good for what, and a picture and some notes helps me a lot. As usual you will find a short video in the attachment showing the current status. I would be pleased about suggestions, improvements, tips etc. But of course criticism is also welcome. I know this is an older thread but I downloaded your software to use with my cnc lathe that I built. However when I go to create a job in the 2D window there is not a dropdown box for Job Templates. It will not let me create a job after importing the chess rook DXF. I have watched the video you referenced many times to see if there might be something I am missing. Could this be a bug? Would you be able to point me in the right direction on how to fix this? I really love your software and is perfect for engineering students like me just trying to learn and have fun. Thank you for your help. Please let me know if something doesn’t work or is unclear. I will gladly help you . Wow! It worked flawlessly. Thank you so much for the quick reply and help. I built a CNC lathe for my senior design project for college. We are building an 8 position turret for it that will be controlled by the left over y axis stepper motor to rotate the tools. How would I go about getting the g code to be written from the opposite side of where the tool is now. Right now the tool is cutting on the front side of the part but I will be mounting the tool changer on the opposite side. Is there a way I could model this up in GrblGru and get the g code to be generated on the other side of the workpiece? I hope this explanation isn’t too confusing. I am having so much fun learning your software. Thank you so much for all of your help! You can add a 3D model of your own machine to the program. For your lathe, I’d have to send you some additional information. If you had a sketch or a 3D model for me, I could think about how to control the tool changer from the opposite side.